Your usage of RuleChecker can be qualified according to ISO 26262, DO-178B/C, IEC-61508 and other safety standards. We offer a special Qualification Support Kit (QSK) that simplifies and automates the qualification process. The QSK consists of two major parts that depend on one another: a Report Package and a Test Package. Operational Requirements Report, listing all functional require­ments for RuleChecker. The reports are generated in HTML, enabling easy integration into your cer­tification documents. Both reports are templates, so you need to edit a few things according to your usage of RuleChecker. 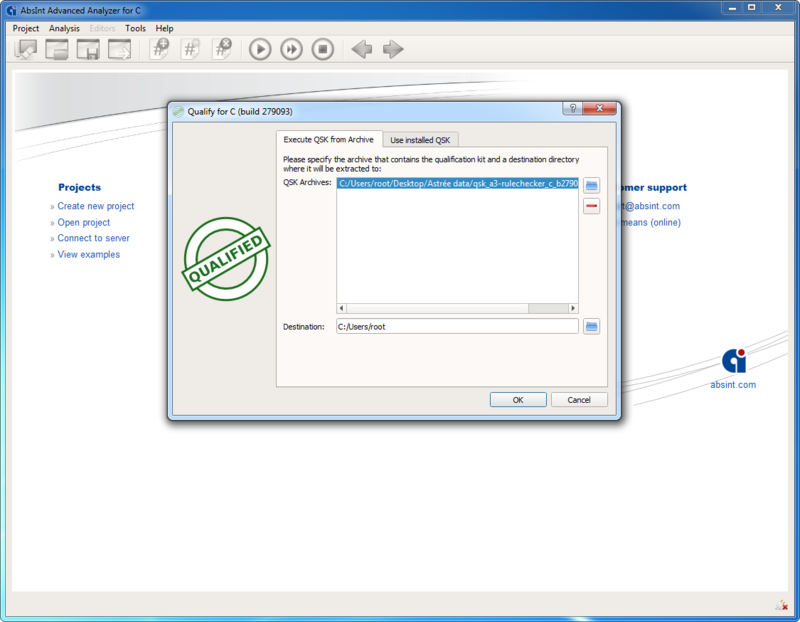 The QSK is delivered as a single ZIP archive. You can run it directly from within RuleChecker, both in GUI and batch mode. All tests are carried out fully automatically, and the results are then displayed and/or saved to a report file specified by you. 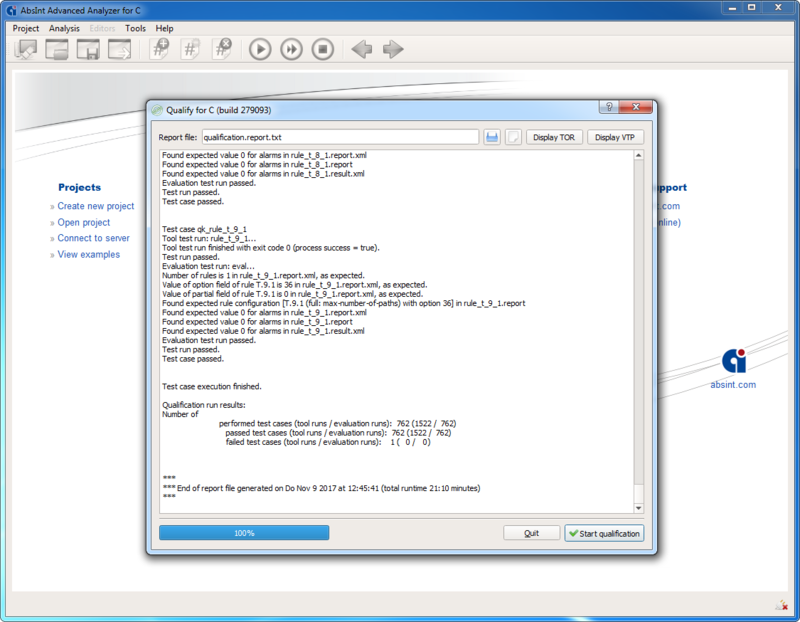 In addition to the QSK, a QSLCD Report is available that describes the entire devel­opment process of RuleChecker and covers all veri­fica­tion and quality-assurance activities on AbsInt’s side. A free “sneak preview” version of the Report is available on request.